Starting my final week of the vegan challenge! I’ve been harping on about the benefits I’ve been feeling so much, from having more energy to less irritated eczema, that my sister has decided to try being vegan for an indefinite amount of time since her eczema is worse than mine. Best of luck sis! I’m in the last week of the ‘One month vegan challenge’ however I will be adding on two extra days for those days that I was bold and fell off the vegan wagon! Following on from there, I plan to be ‘mostly vegan’ and will introduce the non-vegan foods slowly back into my diet to see if they have any effects on my skin condition and I’ll know what to avoid…hopefully! Breakfast: toast and hummus with green tea. Still not sick of this brekkie and had to go back to college to rescue my pot of hummus I left in the fridge there. Was so worth it. Lunch: the OH packed me a lovely lunch of hummus and toast, salad and chicken flavour koka noodles (totally vegan, yum!). I ‘cooked’ the noodles in my takeout carton. Very nifty. 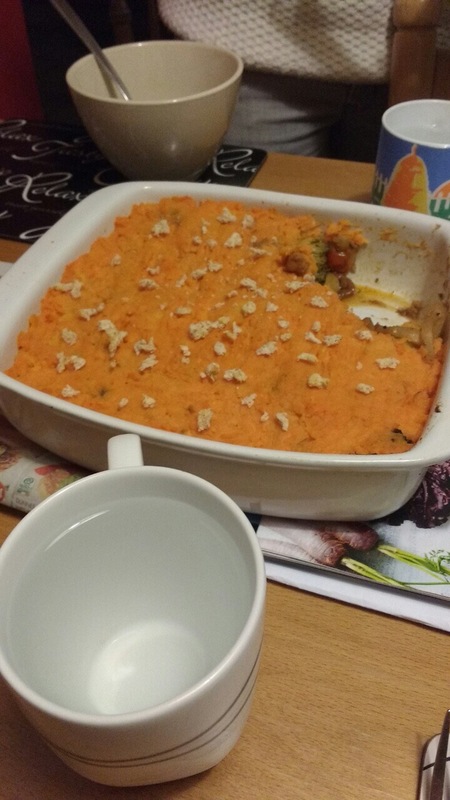 Dinner: went to my friend S’s house for dinner and she very kindly catered to my vegan diet and made a yummy vegan shepherd’s pie. Definitely will be attempting to make that some-day. It was topped with sweet spud. Taste! Snacks: banana, poppy seed and sesame crackers and organic hummus at S’s house, so delish. I ate nearly the whole tub…I have a minor hummus obsession..! 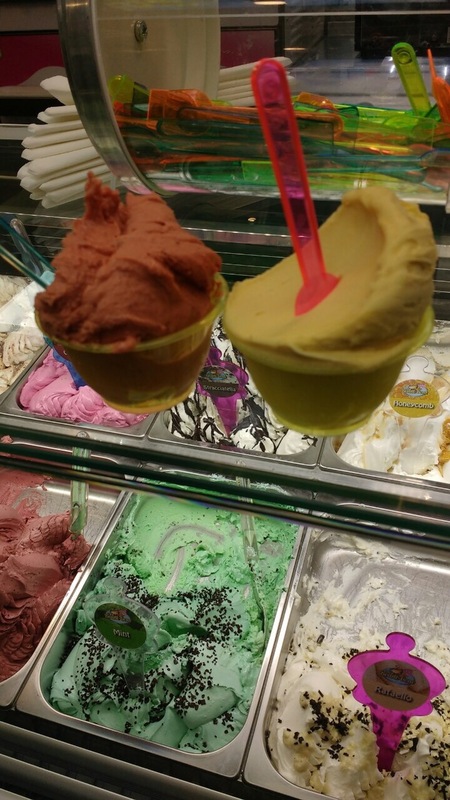 Went to Bean & Cone in Salthill and redeemed a coupon I had from my sis for a free scoop of gelato and got dairy free strawberry ice cream and the OH had mango. Delicious! Yesss keep it up! That’s awesome that you’ve come this far. After looking over a number of the blog articles on your website, I honestly appaecirte your technique of blogging. I bookmarked it to my bookmark webpage list and will be checking back soon. Take a look at my web site too and let me know what you think. I planning to stay vegan for as long as I can. It’s gone so well I can’t imagine quitting.